While the fake birth certificate racket has come back to haunt the Margao Municipal Council, the Margao Police is also under the scanner as they have neither taken the investigation into the 2016 case to its logical conclusion nor have charge sheeted the case till date. While they have finally registered a case against a woman from Curtorim for allegedly procuring a fake non-availability certificate along with other unknown persons recently, the 2016 case is dragging on. Inquiries by The Goan have revealed that investigations into the the June 2016 case involving a MMC employee and a few others have not been taken to the logical conclusion till date. When The Goan contacted incumbent Margao Police station in-charge, PI Kapil Nayak to find out whether the police have filed a chargesheet in the case, he replied in the negative. In fact, the police have attributed the delay in capping the investigations to the delay in receiving the forensic report from Hyderabad. Then Margao PI C L Patil had attached a couple of items, including documents, besides hard disk from the Margao Municipal Council, after the registration of the case. PI Kapil, however, said the police is still awaiting the report from the forensic laboratory, Hyderabad. “It’s only after the police gets the forensic report, the next step of filing the chargesheet will be initiated,” PI Kapil added. 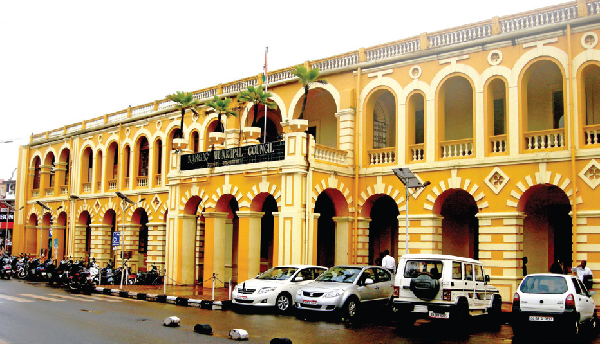 Since the woman was born prior to the year 1971, the Margao Municipal Council is not authorized to issue the non-availability certificate in the first place. Secondly, the seal used on the non-availability certificate has been forged by the miscreants to submit the forged non-availability certificate in the court to get an order for the registration of the birth,” MMC Chief Officer Johnson Fernandes told The Goan. He said the Margao police should go to the root of the racket since it is now obvious that the forged seal of the MMC was used to get the court order. “This is a serious issue, but the previous case is yet to be chargesheeted in the court to act as a deterrent against the miscreants, who are part of the racket,” the Chief Officer added.